Matching need with expertise is not a new idea. Telco Together’s “Skills Exchange” is successfully creating a safe and fun environment where charities and tech volunteers can get together to solve small scale IT problems. 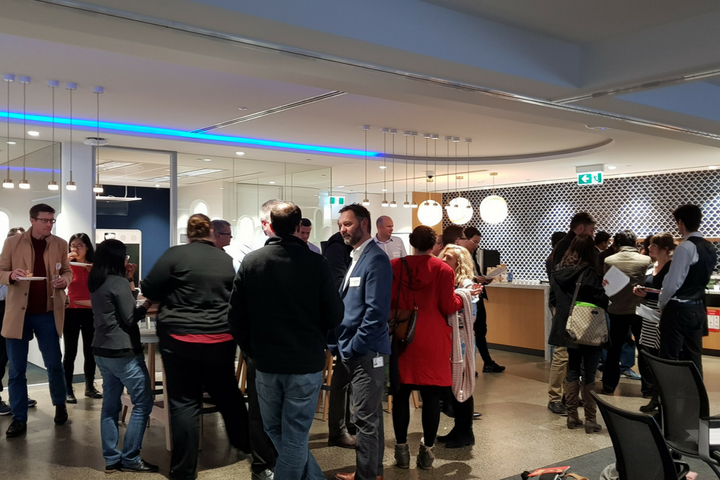 Last week it was Melbourne’s turn with the latest Skills Exchange hosted at Cisco, Melbourne. The event brought together a group of enthusiastic volunteers from Cisco, Telstra, Vocus, Future Squared, Rutledge AV, Service Stream, and Elabor8. Over the 2 hour event the six charities presented the story of their charity and pitched an IT issue that’s limiting their ability to assist their community. All the charities were matched with two IT volunteers willing to help scope the problem and provide guidance to resolve it. The issues the charities presented ranged from assistance with an IT building assessment for a capital works program, to selecting an online membership and events system, to advice on a document management system. The high energy event demonstrated the success of the Skills Exchange. The facilitated process carefully matches the problems pitched by charities to volunteers with diverse skills. The process works to meet both the needs of the charity sector and the volunteers. The charities appreciate the free technical help and expertise, while the tech volunteers (who are often limited by time constraints – 2 days of volunteering leave), appreciate the small scale and ease of the projects. For more information on the Skills Exchange program and to register your interest in upcoming events go to www.telcotogether.org/SkillsExchange.